Unpleasant and unusual noise from garage door can be a pain, especially if there is a living area attached to the garage. It is annoying to hear the squeaks, shrieks, and rattles emanating from the door every time it opens and closes. Fixing noisy garage doors, however, is not always a difficult task, especially if you can identify the cause of the problem at an early stage. Continuing on the subject, we give you some simple remedies from garage door manufacturers and garage door repair companies for eliminating noise. A garage door has a number of nuts and bolts fixed at different parts. Loose screws on the door and track are one of the common reasons for noise. Check for any lose nuts and tighten them with a wrench to bring down the noise. Make sure every nut and bolt in the assembly is tightly fitted, but be careful not to over-tighten them. Garage doors have several moving parts such as springs, hinges, metal rollers, and chains that can cause vibrations and noise when they are not in good condition. That’s why they need regular maintenance. Inspect the garage door and lubricate each of these parts at least twice a year. This will keep the noise down to a minimum. Sometimes, a few pieces of rubber are enough to cut the garage door noise out. Rubber serves as buffers for the door openers and garage door, and help reduce noise. Slide a piece of rubber between the door and the bolts that hold the tracks to it, and tighten the bolts. You can do the same thing with the bolts that hold the door to the support frame. The rubbers absorb vibrating noise thereby preventing the door from shuddering. If the noise is coming from the garage door opener, all it needs is a few tweaks. Check the chain of garage door opener. A loose chain causes loud slapping sounds, leads to jerky movements of the door, and smacks the rollers against the track. Tighten the chain, and lubricate the track and threads with grease. If the problem seems more serious, you can always hire an Overhead Door Repair service company in Longview, TX and other parts of the US. 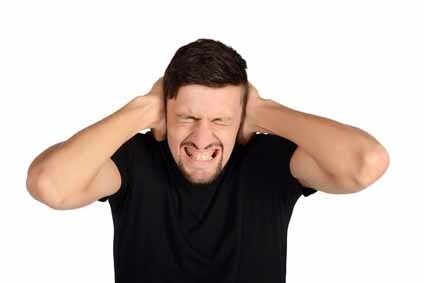 The problem of noise in garage doors can be traced to loose hardware, worn rollers, and parts that require lubrication. If the problem persists, it is advisable to hire a garage door specialist without wasting any time. If you too are facing any kind of trouble with your garage door, Overhead Garage Door, LLC has got you covered. We are a leading garage door repair and installation company serving both residential and commercial customers in Dallas, Fort Worth, and other parts of Texas. To schedule a service request, send us a message by filling out this form or simply call 800-471-4505.